I'm a Sunday school teacher for the 13 year olds. 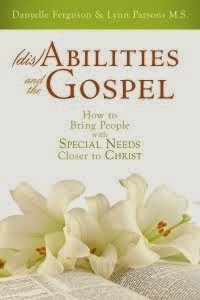 It's become one of my favorite church classes to teach. In our congregation, we get a new class each January. As I thought about the upcoming year, I wanted to do something fun for my class. 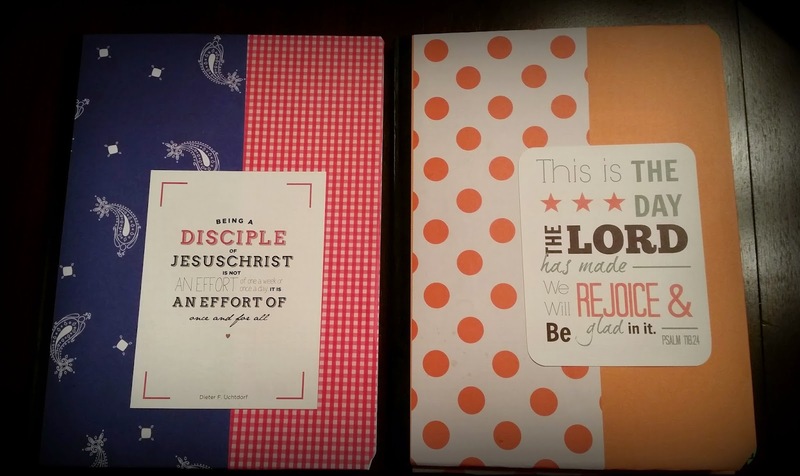 I took a few weeks to consider different ideas and finally settled on making Sunday school journals. • The kids have a place to write thoughts and promptings any time during class, rather than trying to remember it for later. My hope is that they'll develop a habit of taking notes on things that are important to them, as well as write down and follow through with promptings they receive. • If you have any kids with special needs in your class, the journal will help them remember topics when they return home and is a great visual for review. • I am planning to print out 3x5 cards with quotes to go along with the monthly themes and sometimes the individual lessons. 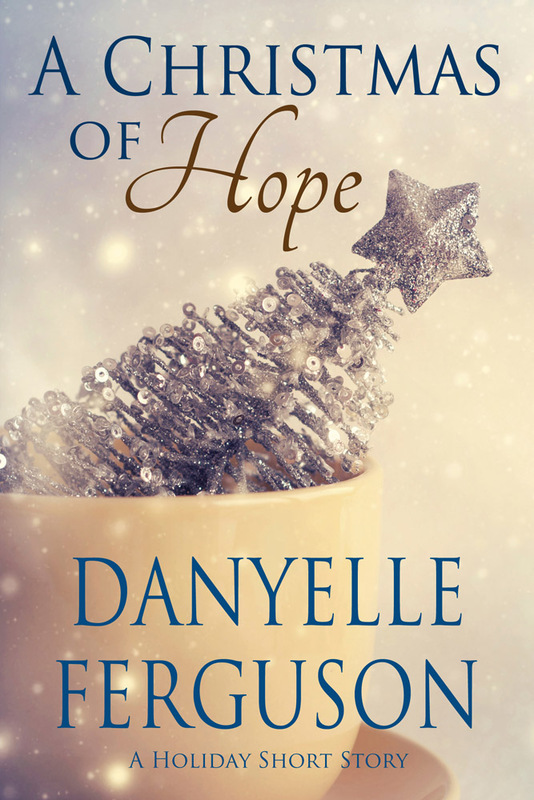 • At the end of the year, the kids will have a book full of their own thoughts on gospel related topics. • And hey, no need to bring paper to pass out for writing activities. It does mean one more bag of stuff to bring to church. 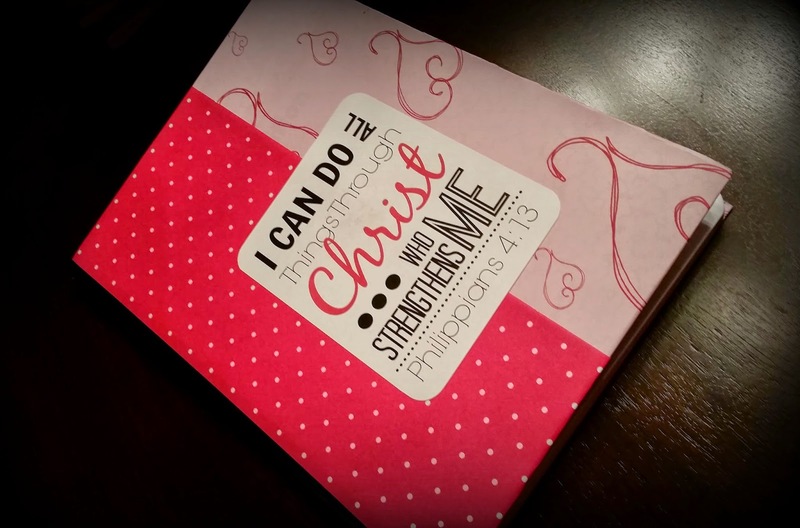 I let the kids decide if they wanted to keep the journal in their scripture case or leave it with me to bring each week. Half the class kept them and the other half preferred to have me keep them (as one kid said, to protect it from his younger siblings). I'm not a crafty person, so I looked up several tutorials on Pinterest to find the best way to cover composition notebooks. This tutorial helped me the most, except I didn't use Modge Podge. A crafty friend of mine suggested Elmer's Adhesive Spray - which was seriously awesome. A word of caution: It is uber sticky. Protect your crafting area. I covered my dining room table with a plastic table cloth from the Dollar Store. Then also used paper towels where I was spraying the glue so I could swap it out when it got too sticky. What I didn't realize is the spray kind of billows out. I ended up getting some residue on one of the chairs and had to do some clean up afterwards. Thank goodness for Clorox wipes! I used 12x12 sheets of coordinating scrapbooking paper. 4 sheets (2 of one pattern, 2 of another). Then I cut an 8" wide strip, leaving a 4" wide strip. The 8" strips were the base pattern to cover the front and back of the composition notebooks. Then I added the 4" coordinating strip. 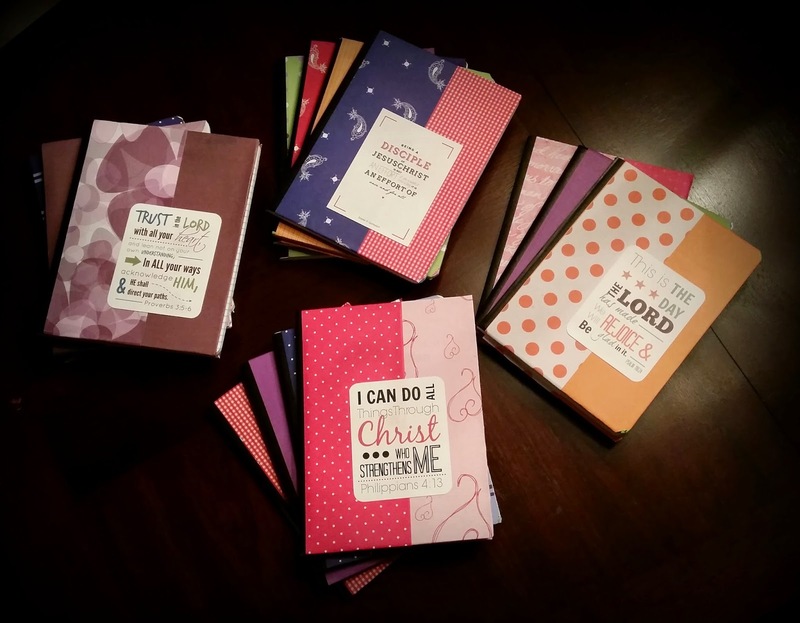 4 sheets will cover 2 notebooks. Then I added some awesome subway art scripture or church leader quotes. On the inside of the front cover, I also added a quote and our class promise. Then I crossed my fingers & hoped the kids would like them. And . . . They loved them! My hubby told me he even overheard some of the boys talking about them and showing them off to their friends. Score! 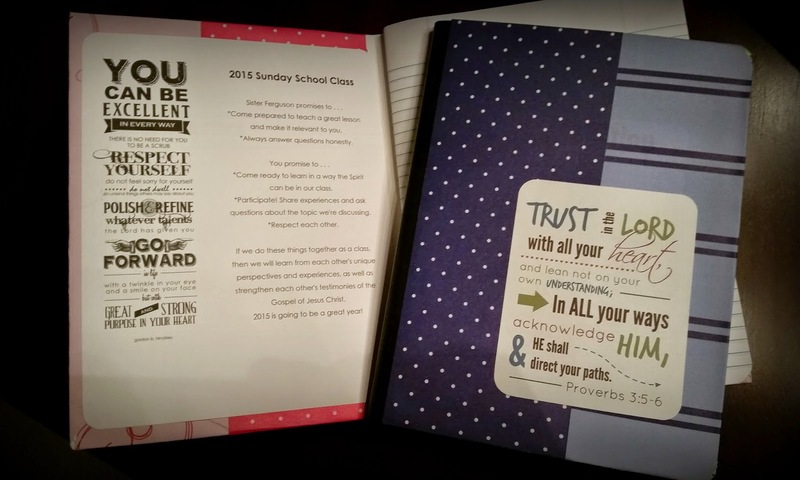 If you decide to make some Sunday school journals, I would love to see pics of them & your ideas.